When we get hooked on something, we get hooked! 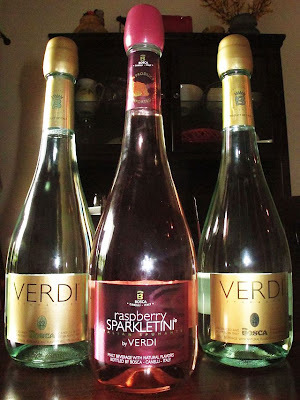 Our newest obesession is Verdi Spumante and Verdi Sparkletini Raspberry. 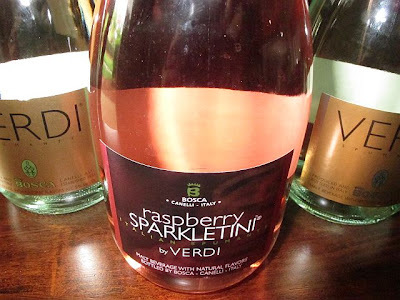 It's light, bubbly and inexpensive. It's been perfect on these warm spring evenings we've been having and I can only imagine how much of this we'll be drinking this summer! yum! I'm going to have to buy myself a bottle next time I'm at the store!! yum! I kinda want that right now... I imagine it doesn't fit into my new "healthy eating" plan though. Boo!